The third edition of Yahoo! OMG! Awards has been living up to its theme, Stars Rock, Fans Rule, as it received over four million votes from fans in just three weeks. 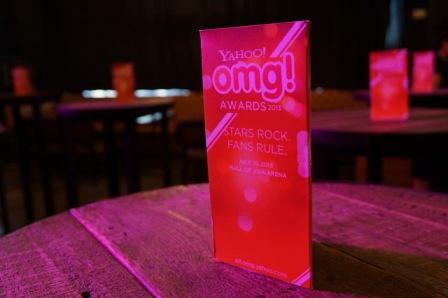 Filipinos have been actively voting for their favorite stars on the Yahoo! OMG! Philippines’ popular entertainment news site since nominees were announced last June 4. The launch was held at URBN Bar & Kitchen and was attended by celebrities and nominees such as Jasmine Curtis Smith, Eula Caballero, Tim Yap, Karylle, Jane Oineza, the Sassy Girls, Arci Munoz, Eleven O One, Philia and Abra. One of the highlights of the evening was the announcement of the first OMG! Media Magnet who went to international singing sensation Charice Pempengco. The Yahoo! OMG! 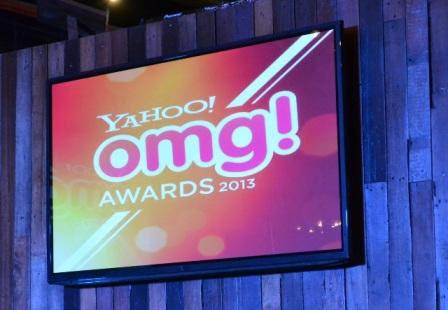 Awards 2013 honors the Philippines’ most promising celebrities and breakthrough artists who have been the most searched on Yahoo! Philippines’ and who have captured the audience’s attention over the past year. One hundred six nominees are vying in 22 categories this year. Some celebrities have already shown a strong standing in the polls in their respective categories. Fans are encouraged to continue voting and spread the word. Voting for nominees is open online and via text messaging OMG HELP to 2910 to all networks until July 12, 2013. Users can follow the Awards on Twitter at @yahooph #omgawardsph and “Like” its Facebook page on http://www.facebook.com/yahoophilippines; regular updates will be featured on Yahoo! OMG! site at http://ph.omg.yahoo.com. The winners will be revealed on awards night, July 19 at the Mall of Asia Arena.